AcadiaChamber Press: Welcome to new member At Home MDI! Please join us in welcoming our newest Chamber Member, At Home MDI. 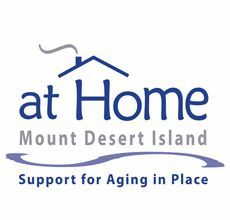 At Home MDI is a member-based, volunteer supported program designed to provide residents of the Mount Desert Island community with essential services, empowering them to continue to live independently in their homes and connected to their communities as they age. Supporting our community elders to remain in their homes as long as they are able. Engaging with existing community organizations, businesses, and services to support this goal. Respecting the independence of our elders by offering services and support necessary to stay at home. At Home is celebrating its first year of providing services on Mount Desert Island. At Home MDI welcomes new members and volunteers. For more information, call the main office (207)374-5852.